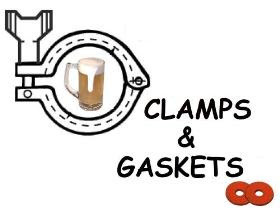 Clamps & Gaskets: News Roundup for Weeks 17/18, 2016. 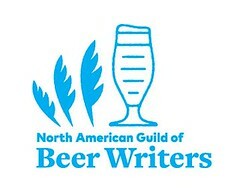 The biennial World Beer Cup was held in Phildelphia, Pennsylvania, concurrent with the 2016 Craft Brewers Conference. 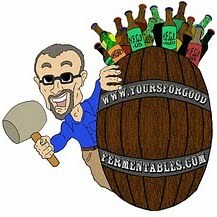 6,596 beers from 1,907 breweries in 55 countries competed in 96 'styles.' 287 medals were awarded and six breweries were judged as overall champions. 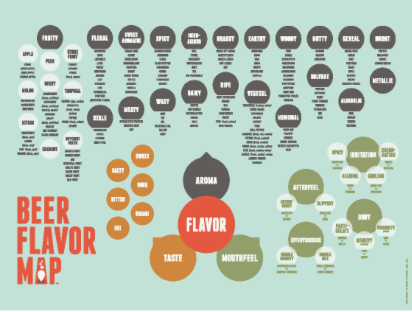 Two scientists have updated the Beer Flavor Wheel —thirty-seven years after its creation by brewing chemist Morten Meilgaard— with the Beer Flavor Map. The American History Museum of the Smithsonian Institution, in collaboration with the [U.S.] Brewers Association, to document the history of brewing in the United States, including 'craft' brewing. In the U.S., Cinco de Mayo (the 5th of May) is celebrated with beers and margaritas, Donald Trump, notwithstanding. In Mexico, not so much. It's a 19th-century story of France, Austria, and Mexico, but not one of Mexican independence. Nearly a third of antibiotics prescribed annually are not needed, according to a study by the Centers for Disease Control and Prevention (CDC) and the Pew Charitable Trust. The finding, which has implications for antibiotics' diminished efficacy, translates to about 47 million unnecessary prescriptions given out each year. Antimicrobial resistance threatens the effective prevention and treatment of an ever-increasing range of infections caused by bacteria, parasites, viruses and fungi. Antimicrobial resistance is present in all parts of the world. New resistance mechanisms emerge and spread globally. It is an increasingly serious threat to global public health that requires action across all government sectors and society. —Via World Health Organization WHO. The American History Museum of the Smithsonian Institution, in collaboration with the [U.S.] Brewers Association, has announced its plans to document the history of brewing in the United States, including 'craft' brewing. Concerning eating well, Michael Pollan wrote: “Eat food. Not too much. Mostly plants.” Concerning drinking (beer) well, Jeff Alworth writes: "Buy local, buy good, drink on tap." 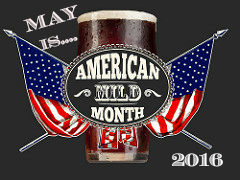 May 2016 is the second annual American Mild Month. Via Alistair Reece at American Mild Month. On 1 May 1844, Bavarian workers rioted after King Ludwig I decreed a tax on beer. Civil order was restored five days later after the King decreed a ten percent reduction in the price of beer. Resentment remained. Four years later, in the aftermath of the Revolution of 1848, Ludwig I abdicated in favor of his son, Maximilian II. Photo: Lucy Ash, via Twitter. 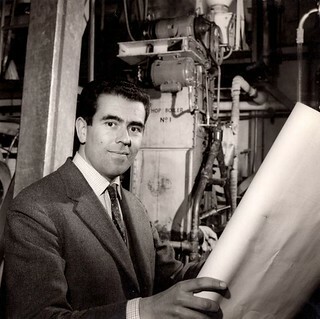 Michael Ash (1927-2016), the mathematician who invented nitrogen dispense for Guinness Brewing in 1959, has died at age 88. Many craft breweries and pubs today utilize similar nitrogen dispense for their beers, calling the procedure "nitro." The era of big 'craft' beer is dead. RIP: 2005-2015. The big craft era of 2005-15 is relatively late to the game. And, let's be honest, if these guys didn't become the millionaires and billionaires someone else would have. It's not like they invented beer. Folk will say that good beer is in crisis and point to this odd news as some sort of life raft in an ocean of evil big beer and big money. Have none of it. This is just the new boss meeting the old boss all in the great cause of money. Which is good. Because that is success. Rejoice. Big craft is dead. Brewing continues to move on and on, becoming more affordable and more excellent and more diverse and more interesting because this era of craft is dead. "Mr. Beer" and the rise of the "Aleholes." When the simple enjoyment of beer enjoyment becomes distracted by the complicated, the esoteric, and elitism. In December 2015, writer Dave Infante wrote an essay for Thrillist: "There Are Almost No Black People Brewing Craft Beer. Here's Why." In April 2016, the essay won a James Beard award for best writing on "Wine, Spirits, and Other Beverages." The James Beard Foundation Awards are annual awards presented by the James Beard Foundation for excellence in cuisine, culinary writing, and culinary education in the United States. How can civil asset forfeiture not be a violation of the 4th, 5th, and 14th amendments to the U.S. Constitution? How police legally took $53,000 from a Christian band, an orphanage, and a church, none guilty of any crime. "The world’s biggest breweries now have diverse portfolios and brands that they bought and make within their massive facilities to sell to their extremely powerful and increasingly unilateral distribution networks. All of this is done in an effort to marginalize craft brewers’ access to ingredients and market."